Dr. Vo’s affinity for helping others inspired him to study medicine. He brings more than 20 years of expertise in the Business of Emergency Medicine to Nutex Health. He is board-certified in emergency medicine and has worked in busy hospitals and free-standing emergency centers throughout Texas. Additionally, he has been instrumental in the start-up and management of over 30 Micro-Hospitals and free-standing emergency centers throughout the US. He is recognized by his contemporaries as one of the pioneers and leaders in the field. 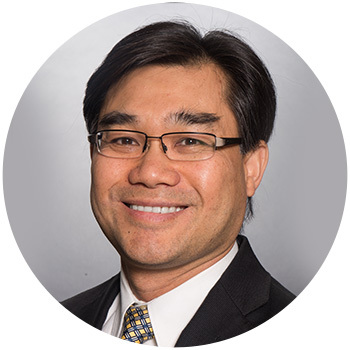 Dr. Vo graduated from Kent State in 1992 and Northeastern Ohio University’s College of Medicine in 1996. He completed his Emergency Residency at William Beaumont Hospital in Royal Oaks, MI, in 1999. In 2004, Dr. Vo received an MBA from Rice University to learn more about the business side of medicine. He, and his wife, Kim, have 4 kids. In his spare time, he likes to participate in physical fitness activities, practice kickboxing, and spend time with his family.